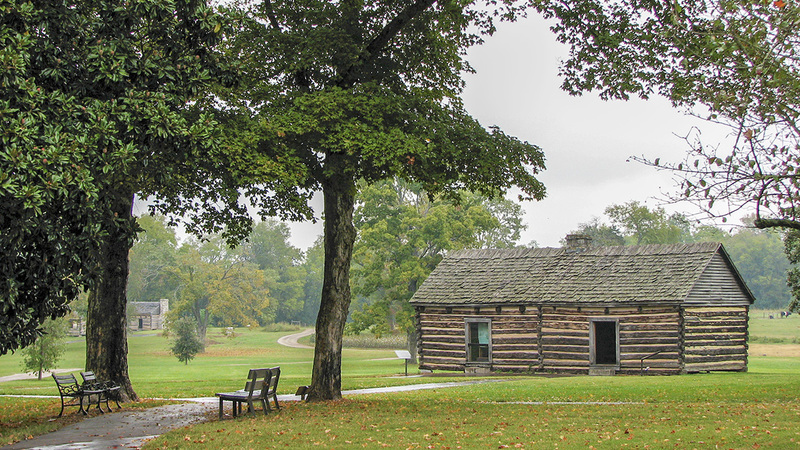 The Hermitage was home to President Andrew Jackson from 1804 until 1845. 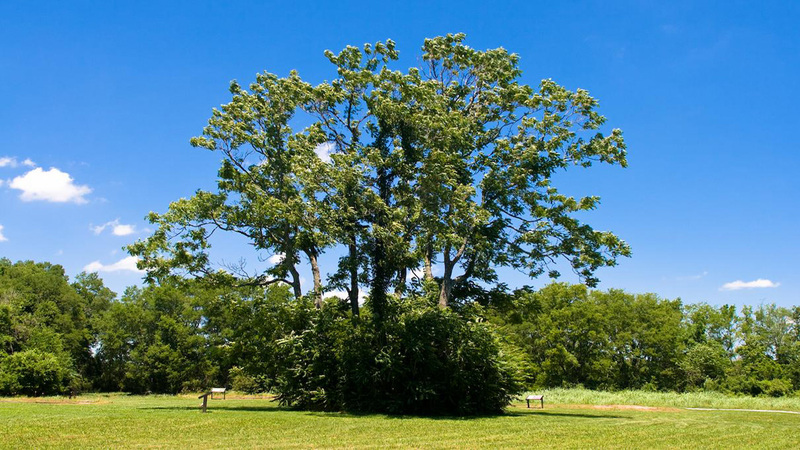 The 1,050-acre property was a working plantation, with 200 acres for cotton and the remainder used for food production and racehorse breeding. 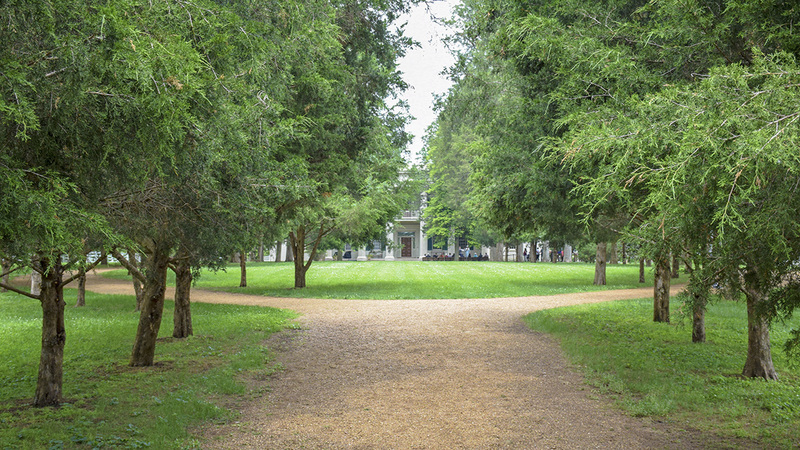 Jackson replaced the property’s original log cabin with a Federal-style mansion in 1819 and hired English gardener William Frost to design a formal garden east of the mansion. 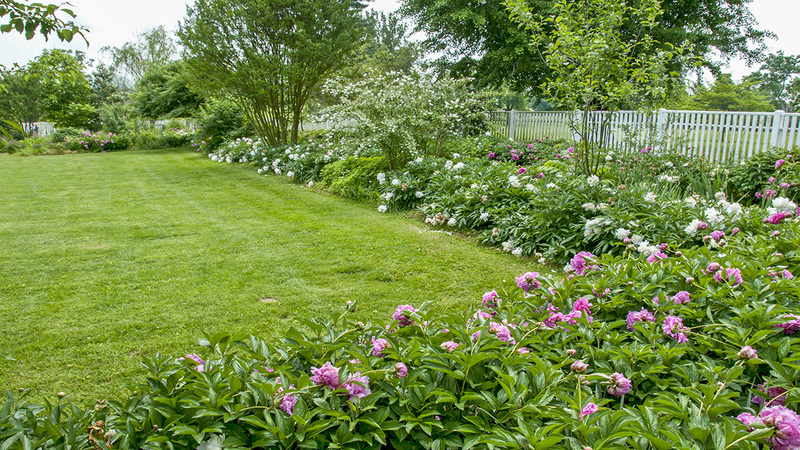 The garden is a classical parterre, with narrow paths lined with evergreen shrubs and fruit trees and a central circular bed planted with flowers and herbs. 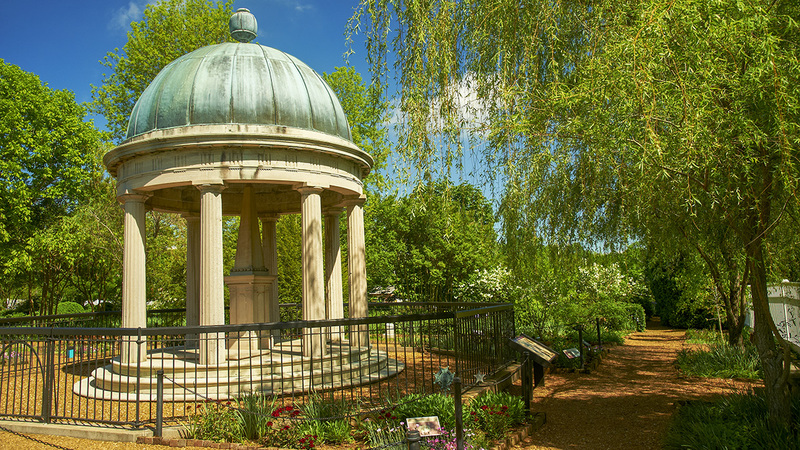 In the garden’s southeast corner architect David Morrison designed a temple-like Grecian monument honoring Jackson’s wife, Rachel, and also enlarged the mansion. 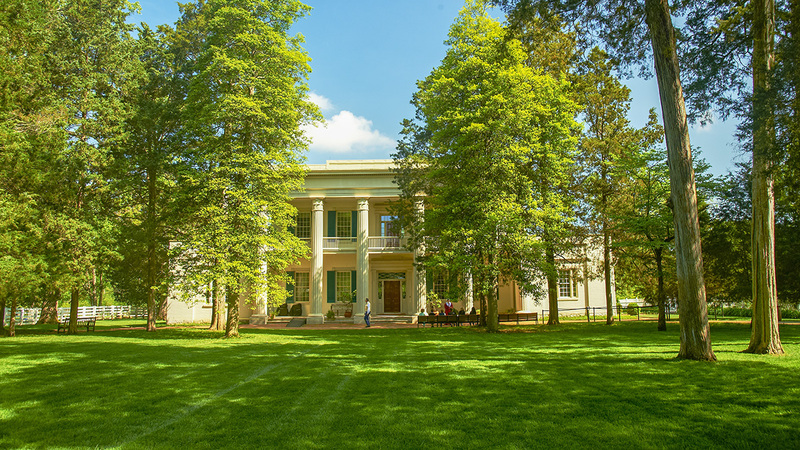 The mansion was redesigned again in its current Greek Revival style by Joseph Reiff and William Hume in 1836 after a fire. 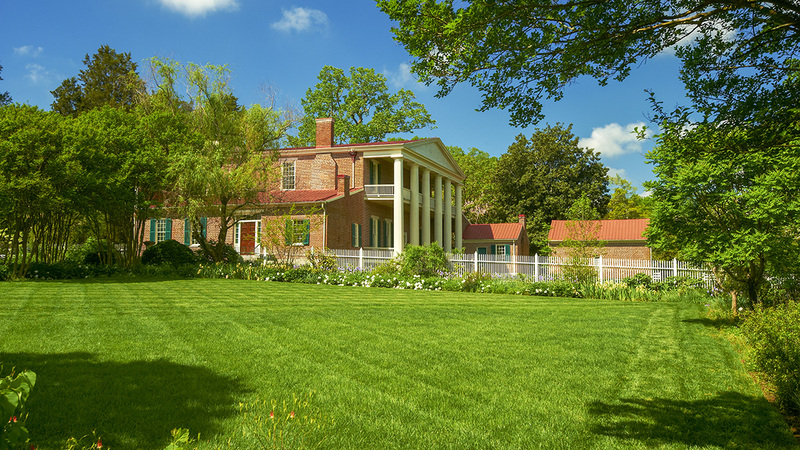 Following Jackson’s death the property was divided in half between the State of Tennessee and private buyers. 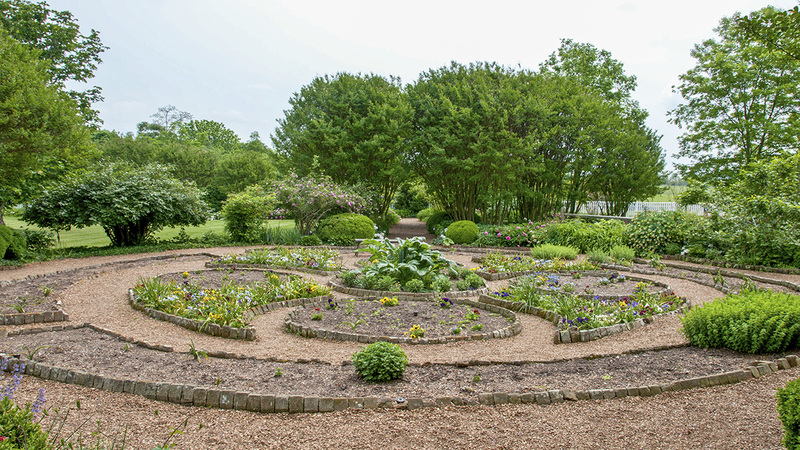 In 1888, after years of neglect, the Ladies Hermitage Association was given responsibility for the core 25 acres, with the rest used for a Confederate Soldier’s Home. In the 1910s the Association consulted with local landscape gardener George Byron Moulder, but the full scope of his involvement is unclear. 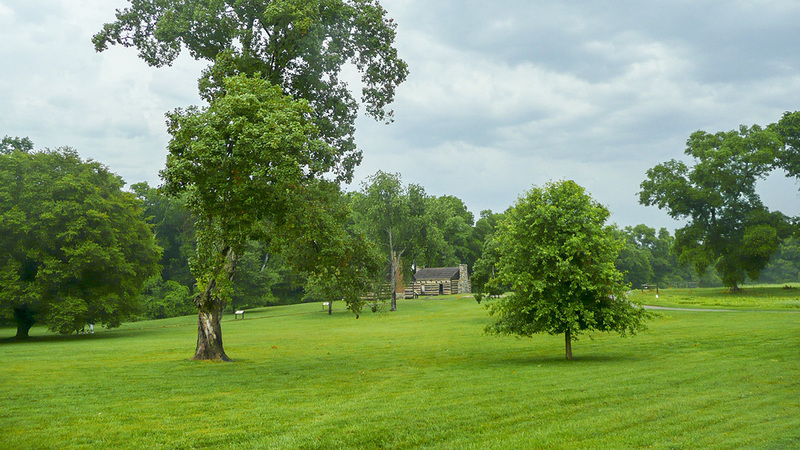 In the 1930s the Works Progress Administration converted the Soldier’s Home property into a working farm and constructed several new visitor-oriented buildings. 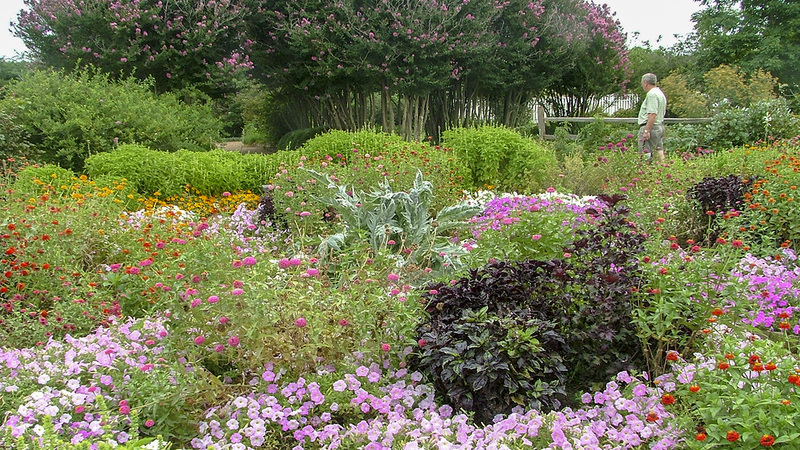 Today, the mansion is restored and the estate comprises 1,120 acres, including the original 1,050-acre tract. 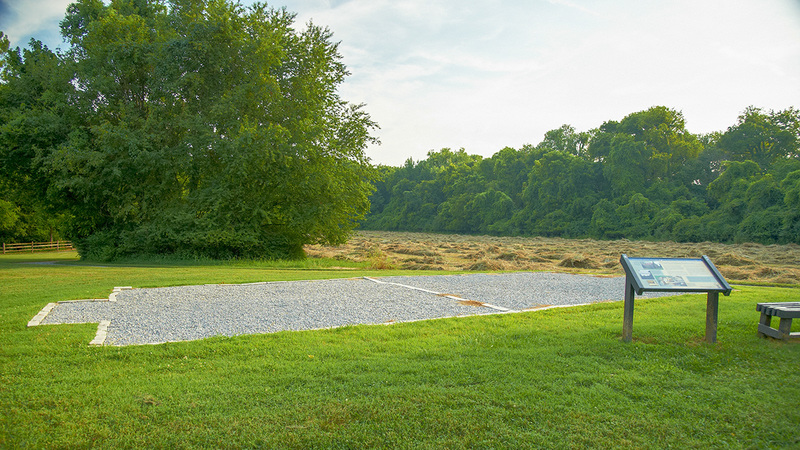 It was designated a National Historic Landmark in 1960.